Look at the photo below. 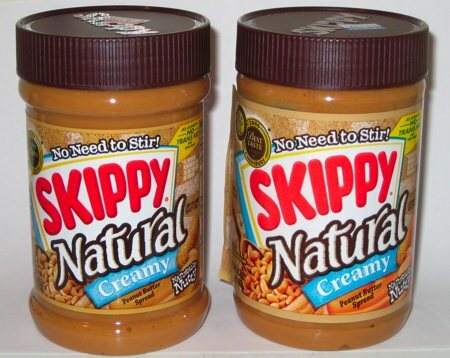 The peanut butter on the right weighs 16.3 oz. and sold for $3.59 about two months ago. That’s about $0.22 per ounce. The peanut butter on the left weighs 15 oz. and sold for $3.79, today. That’s about $0.25 per ounce. I love how not only does the price goes up, but the weight goes down at the same time. I especially love how they made the weight go down by sucking in the sides. I won’t even bring up the fact that they’re skimping on the glue for the label. It’s still good peanut butter, though.